Perhaps you've heard whispers of the "Wise Ones", or "Wise Wizards", throughout The Spiral. You heard that we are a group of adults who enjoy playing Wizard101 and often meet up to make new friends, help with quests, participate in boss runs, duels and other activities. Or maybe you haven't heard any of that and feel like you're the only adult playing! If you are 21 or older and looking for the company of your peers, you'll love this group! We are parents, guardians, older siblings/cousins, grandparents, kids at heart, etc. We understand when real life duties call, so our meetings are arranged for a variety of times and attendance is flexible. For more information, before completing the application, please read our FAQ as many common questions have already been answered there. For Site Administrators only. Registration is disabled as it isn't needed at this time. Copyright ©2008-2014, Wizened Wizards of Wizard101 Central - All Rights Reserved. Some Images / Artwork Copyright ©2008-2014, KingsIsle Entertainment, Inc. 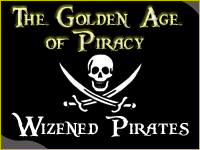 Copyright ©2013 Wizened Wizards Template Design by LadyNightOwl.